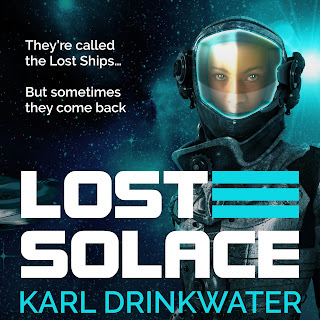 The tense sci-fi Lost Solace is now also available as an audiobook. Marisha Tapera did an amazing job as the producer and narrator, able to easily switch between scenes of suspense, scenes of action, and scenes of dialogue. I particularly loved the distinction between Opal and Clarissa's voices, since so much depends on it being right. In fact, I was smiling at the interplay between the characters. The laconic and warm-but-controlled tones of Opal were a wonderful contrast to Clarissa, with her childishly-enthusiastic-yet-also-slightly-inhuman cadences. Marisha's voice is really clear and has a rich quality that makes it pleasant to listen to, and her performance was so good that I laughed at parts which brought out the humour, and felt my neck hairs prickle at the emotional highpoints. Bonus for my fans! I have a few US and UK codes that give a free audiobook copy of Lost Solace on Audible. If you have read and left reviews for my work and want a free audiobook copy on Audible, get in touch! I have codes for my previous audiobooks too (see below).